Happiness is a very important treasure that all humans seek. 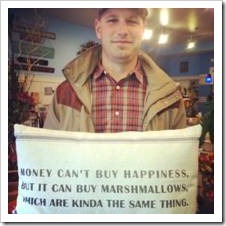 Gal and I have been researching and teaching happiness for a long time. As a happiness coach, I can tell you that one of the greatest difficulties of finding this treasure is that most people do not really know how it looks, feels or sounds. They spend most of their life searching for an idea that they do not understand very clearly. I have read hundreds of books about happiness, motivation and success and written many articles, lesson plans and presentations about happiness and in all of them, I get to the same point: happiness is not absolute and does not follow the “one size fits all” rule. Therefore, I cannot teach happiness. All I can teach people is how to find it inside. Well, I do not. You see, happiness pills are very special. Only those who make them can enjoy the magic of their cure. Every one of us is a chemist searching for the right ingredients in the right combination that defines their own happiness pill. Each pill is unique to its creator. I happened to be studying the chemistry of happiness, success and motivation and have had the honor of studying and working with lots of successful chemists, so I can share with my clients some tips about ingredients that do not work and others that were proven to be very successful. One of the reasons my clients are so successful is that they understand I cannot prescribe them a pill, but that with my help, they do not start from scratch. The good thing about working towards the happiness pill is that you get to test it every day of your life and always improve. On lousy days, and everyone has lousy days, they can always take a happiness pill to boost their emotional immune system and gather enough courage and motivation to start researching again the day after. 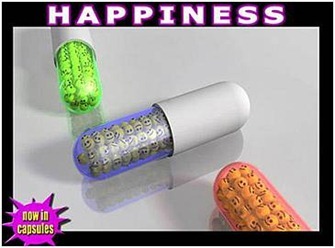 Another great thing about the happiness pill is that everyone can prescribe it for themselves at any time. You do not need to make an appointment, see a specialist and expect them to make you happy. You are the specialist and you can prescribe it to yourself. No one knows you better than you! Also, you do not need to go to the chemist during business hours and count on your pill to be in stock. You are the chemist and you are always open for business. Your body has all the chemicals you can dream of and using it properly will produce supportive chemicals and get rid of the ingredients you do not want. Being out of stock happens only once in your life – when you die. Happiness is like a religion. It gives its believers the sense of comfort, purpose, and fulfillment, a sense of certainty and connection to the world and its creator. Just like every other religion, it is very individual and requires your complete faith. 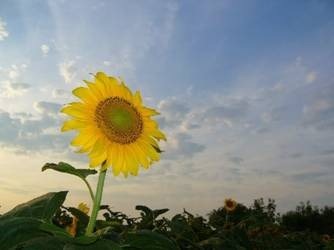 I believe that life is a search for your own “ism”. I have a group of clients that know each other very well (one of them referred a friend to me, who referred another two friends, who referred others, so they all know about one another) and they talk about my religion as “Ronitism”. After only a couple of sessions, all my clients know that they need to find their own “ism” and the quicker they find it, the happier they will be. To help them find it, I share my search and my findings and help them question their thoughts and beliefs until they find solid, helpful ingredients that take them forward, with focus, that are addictive and can be easily replicated and measured. I teach them to be researchers – to compare, to rate, to document, to test and test again, to be creative, to be adventurous, to welcome like-minded researchers and learn from their successes, and you know what? Those who seek, find! When my clients ask me about my happiness pill, I always share it with them. Some of the ingredients have been found in past experiences. Even the tough and painful experiences have included very important ingredients of success. I have learned many of my ingredients during my studies and while working. Some are tips from my parents and family members or my observations of what I like and do not like about the way others searched for their happiness pill. I have learned some things from very successful people. Some of my ingredients are just there and I do not know exactly who has given them to me or what has made me think they were good for me. I just know they work. If you know the “make a list” series, you know that writing things down can be very helpful for our thinking process. Spend some time finding out what is the formula for you – your happiness formula. Your happy-ism. Think what the ingredients of happiness, success and excellence are and see if you have these ingredient. Knowing that courageous people are very successful is not enough. You also need to do something to develop this courage in yourself, so success and happiness will start knocking on your door. Write whatever you think makes you happy. I have the list of 100 things that make me happy and I extend the list every opportunity I get. Every person has a different list and it provides the basis for your happiness pill. When making a list, write the ingredients that should not be on your happiness pill’s ingredient list. There is no need to research and find out again and again they do not work for you. For example, I discovered at the age of 16 that I felt sorry for myself and that was the reason I was helpless and unhappy. 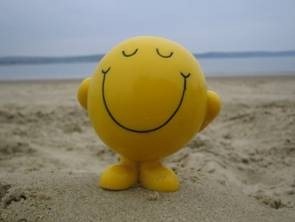 In my happiness formula, feeling sorry for myself does not exist and I never check again to see if it works. When was the first time you discovered this ingredient? How old were you when you first discovered it? I discovered that action (as opposed to complaining) is a great ingredient in my success formula. I discovered it when I was 16 and switched from complaining to doing and it worked. Instead of complaining, I asked myself, “What can I do about it?” With good questions, you always get good answers. Who has given it to you? Who was the person that was associated with this discovery? I learned money management from my dad. He taught me that a credit card is a way of renting money so I do not rent money. I have a credit card and I pay it all off by the due date so I never have to pay any interest. Over 27 years of having a credit card, I have rented money twice in my life to pay a loan with higher interest and only for a very short time. I think this is one of the reasons I am so good with money. 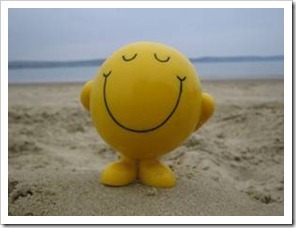 What were the circumstance that have made you think this is a very important ingredient in the happiness pill formula? One of the ingredients of my formula is “successful people fall 7 times and get up 8”. No matter how hard things are, get up! One more time! That is all it takes – one more time. I learned it the hard way after I lost my two babies. I thought I could not and would not be able ever to smile again and I was wrong. Very painful and sad circumstances, great ingredients. Whenever I fail or things do not happen the way I predicted or wanted, I focus on “one more time” and it always works. Do I have this ingredient? 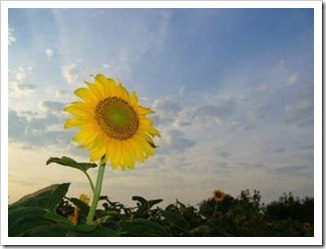 Sometimes, we see great skills and abilities, thoughts and beliefs in other people, but we do not possess them. If you examine those around you and think they have some ingredients of the happiness formula, ask yourself if you have these skills too. During my work as a life coach, I have learned that part of every coach’s success is the ability not to take on the clients’ feelings and to remain a facilitator of change. This was hard for me. For a while, I did not own that ingredient. Where/how can I get this ingredient? What do I need to develop, do, possess and learn to own this ingredient? Luckily for me, I could coach myself to develop the skill of allowing my clients to have their own feelings and being able to support them without adopting their feelings. I have used all the tools in my tool kit to change beliefs, to come up with new rules and goals to achieve this and I have been very successful at it. Remember, it is good to learn from others about their happiness pills, but do not be tempted to adopt them. For an ingredient to be useful and successful, it needs to be accompanied by strong belief and listening to someone else’s story is not enough to make it a strong belief. I hope you will enjoy your time in the pharmacy of life and be a dedicated and adventurous chemist. If you need help in weighing, mixing and finding your unique formula, call us at Be Happy in LIFE and I will be happy to help you. 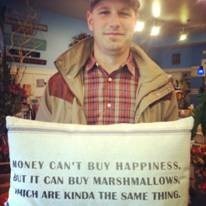 I borrowed your happiness image; I did not know it will lead me to such a great blog. I linked back here so my readers can be inspired as well.